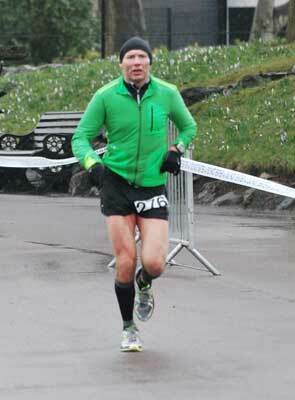 Craig Cunningham Winning the D33 Ultra 2013. The Deeside Way Ultra 2013, the D33, took place March 16th. With 252 runners completing the 33 mile course from Aberdeen to Banchory and back, race director George Reid’s philosophy of keeping it simple has proved to be effective. Wet and cold conditions did not deter some of the keenest runners in Scotland and Craig Cunningham held off Hugh McInnes to win the race and the first event in the Scottish Ultra Marathon Series 2013. Womens winner was Rebecca Johnson who ran well to with 4:02 ahead of Kate Jenkins who finished in 4:17.